It's clear to me that the producer was given something like a 1 minute acapella that's probably been knocking around for a while. Yeah,that's probably true.It's kinda why this doesn't feel like a 'complete' song. I'm gonna jump on this bandwagon. Shame on Chaka Khan and Switch for collaborating and releasing music under Universal. And for stealing from the 70s. And for not having a guest rapper. I'm never listening to this awful commercial grab ever and shame on her for having kids three times less her age in the videos. If she can't dance she shouldn't make dance music. I feel foolish for spending my money on this now. It will adequately serve its purpose. They could've had a graffiti artist paint a big mural of Chaka. That would've been cool in her absence. yes,that would have been great. The video suits the repetitiveness of the song perfectly. Also, I just accidently discovered I enjoy the video more with the sound off. ¯\_(ツ)_/¯. Chaka seems to be giving the masses what they want. Youtube views of "Like Sugar" have, in just one day, eclipsed those of her year-old "I Love Myself" video and continue to substantially grow daily. So...is this getting terrestrial radio play? I don't have an Adult (or contemporary) R&B station in my area. The 10-time Grammy winner, who turned 65 in March, is embarking on another new adventure this year as she releases her first solo studio album in 11 years. In June, she put out its first single, “Like Sugar,” a sensual, funk-tinged bop. “I play drums on it too,” she volunteers excitedly. Ooooohhhhh....this for the kids! Well that explains it. I thought I lost the plot. Dance on children! You think there'll be a Cardi B or Lil Pump collabo? "Like Sugar" is the lead single from Khan's upcoming album, which she promises to add to her 22-album canon sometime in 2018. The project — her first since 2007 — will be released on Diary Records, a new label run by producer and M.I.A. collaborator Switch. In the video for "Like Sugar," dancers in their best vintage duds show off their dance skills in a vacant industrial plot. No glitz or glam needed, just the beats and the moves. In addition to the video, Khan released an extended single of "Like Sugar," as well as a Switch remix. after a few weeks of listening to this song,here are my thoughts.The song is OK as a fun dance/club track but it feels incomplete.Where is the second verse? Chaka’s vocals seem to take a back seat to the rhythm and the beat.I’m all for a fun dance album,but hopefully on the other tracks,we hear more of Chaka’s powerful voice. I don't really listen to the radio anymore so I have no idea. Something for the kids to dance to. This from a woman who was so royally pissed at Warner Brothers in 1984 when they told her they needed her to record an album for the kids to dance to??? It resulted in "I Feel For You", which turned her into an international superstar. Anyway, what happened to the Joni Mitchell tribute album she has been recording for 3 years? This new dance album will end up in the can, right along with the Joni tribute, "I-Khan", and the untitled album before that. No,I think this is the real deal I’d be really disappointed if the album doesn’t come out. ^^What do you think of “Like Sugar” single? At the top of her list is a new studio album, in collaboration with U.K. producer Switch, who has worked with M.I.A., Santigold and Beyonce as well as co-founding Major Lazer with Diplo. A blazing dance single, “Like Sugar,” provides a teaser, with the album expected to be released later this summer, Khan’s first album of original material since 2007. In addition she has a tribute album to her friend Joni Mitchell in the mixing stage with producer Eve Nelson, the classically trained musician who worked with Khan on her “ClassiKhan” album with the London Symphony Orchestra in 2004.
interestingly,in the Chicago Tribune interview,Chaka says that it's so easy to release new music these days,independently.I think this is something that Prince convinced her of but in reality,it really isn't as easy as it seems. 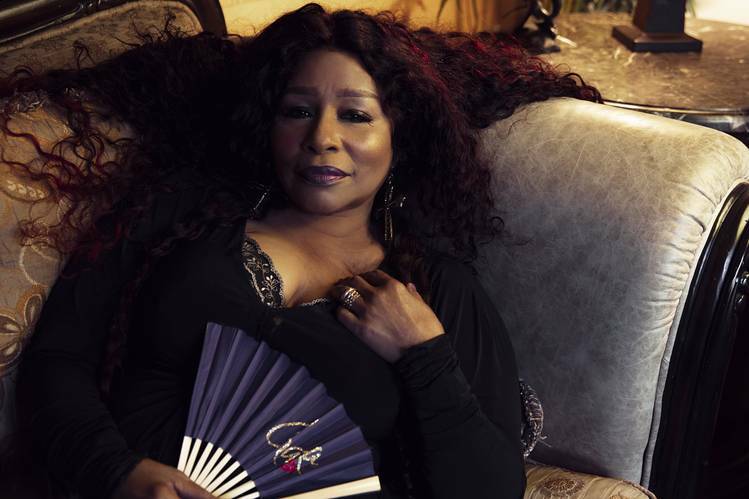 Just read a lengthy interview that said the album is complete and will be released "some time this summer", which in Chaka speak means next spring. she also claims the Joni Mitchell project is being prepared for release. Just read a lengthy interview that said the album is complete and will be released "some time this summer", which in Chaka speak means next spring. In these interviews,I wish they would ask more questions about the album....give us some track titles....a description of the songs......all we know is that it is a "dance album" which doesn't really tell us much. I actually like this track, but when I listen to it it's less as a Chaka song, but something I'm just gonna groove out and dance to. I'll give whatever she puts out a chance, but I'm really intrigued about the Joni album more than this tbh. But I'm not really certain how big the audience is for that kinda album in today's market. Right. If it were so easy, she would have released all of those songs she has in the can by now that she has recorded over the past few years.